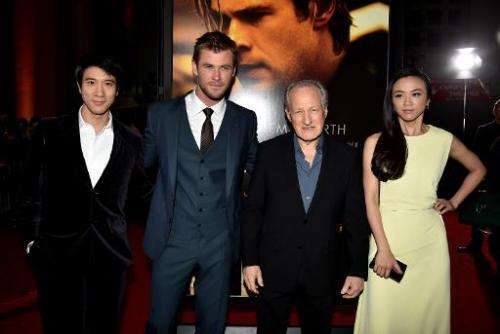 American director Michael Mann is making a grand return to theaters with "Blackhat", a timely cyber-terrorism action flick starring Chris Hemsworth. Australian actor Hemsworth sheds his "Thor" costume to become Nicholas Hathaway, a "black hat" bad-guy hacker released from prison to help American authorities dismantle a criminal network. "Blackhat" hits theaters with cyber-crime very much in the headlines, with its Friday debut coming just two months after a devastating cyber-attack on Hollywood studio Sony Pictures. That hack is believed to have been linked to "The Interview", which depicts a fictional CIA plot to assassinate North Korea's leader—a storyline that infuriated Pyongyang. Mann said the roots of his film can be traced back more than two years, as he began to understand the threats posed by cyber-terrorism. The director—whose last film "Public Enemies", came out nearly six years ago—said he was motivated to make the film because "it takes place in our world as it is right now, right at the cutting edge of this moment." Speaking at a press conference in Los Angeles, Mann said he consulted expert hackers for the production, including one, Kevin Poulsen, who spent several years in prison. "We wanted to know who are the black hat hackers, what motivates them?" Mann said. Hemsworth, named the world's sexiest man in November by US magazine People, said he asked one of the hackers if "knowing what you know... do you look at the world differently?" "He started to laugh. He said: 'Man, people have no idea how exposed they are and how vulnerable they are.'" 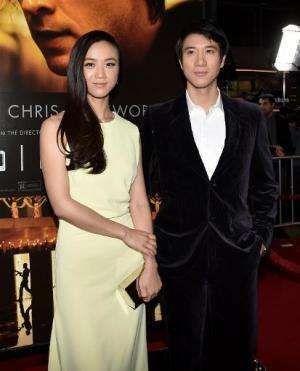 The cyber-crime experts showed Hemsworth and American co-star Wang Leehom, who plays a Chinese government computer expert, how to mimic the body language of hackers, including their typing mannerisms. 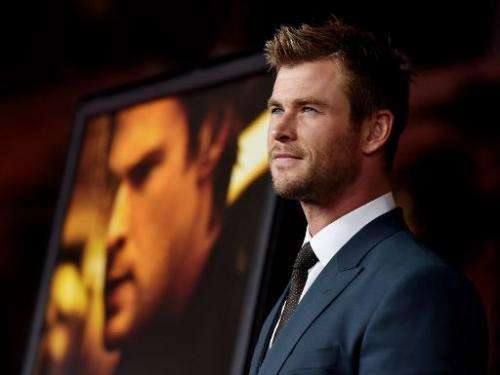 Hemsworth also shares the screen with two-time Oscar nominee Viola Davis, who plays an FBI special agent in the adventure that takes viewers from Los Angeles to Hong Kong by way of Jakarta. Also co-starring in the film is Chinese actress Tang Wei, perhaps best known for her role in Ang Lee's sultry spy drama "Lust, Caution." The plot begins with a literal bang, as a Hong Kong nuclear power plant explodes thanks to the handiwork of a hacker, and Chinese authorities ask for American help finding the culprits. Talking about cyber-terrorism was an "eye-opening experience," Mann said, adding that people are "vulnerable to intrusions from everywhere." Mann's film "The Aviator"—a Howard Hughes biopic starring Leonardo DiCaprio—took home five Oscars. "The Insider" (1999), based on a true story about a tobacco industry whistleblower, earned seven nominations. He also directed "Heat" (1995) and created the popular 1980s television show "Miami Vice." The Sony hack was claimed by a group calling itself Guardians of Peace, but Washington has blamed the attack on North Korea—a claim Pyongyang denies. The group issued threats against cinemas and movie-goers over the planned release of "The Interview", initially prompting Sony to pull the plug on the film's Christmas Day release. However, hundreds of independent theaters rallied to show the flick, which was also made available online and via cable TV providers.